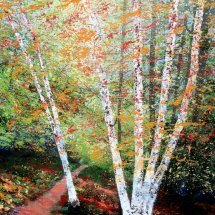 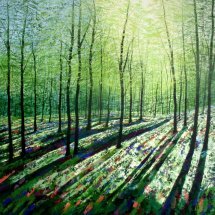 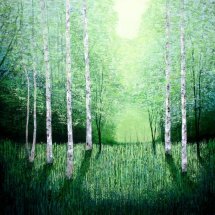 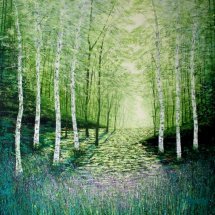 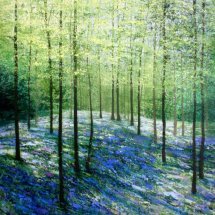 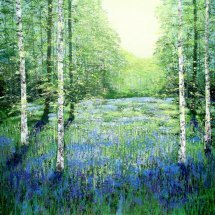 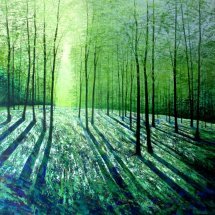 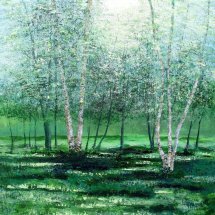 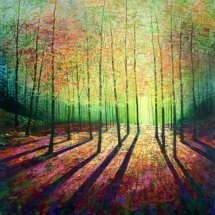 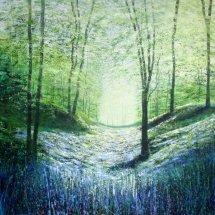 The inspiration for "Language of the Trees" comes from some lovely woods near my home, and is part of my "Woodland Conversations" collection. 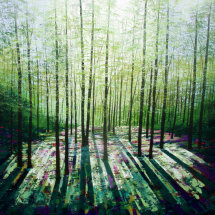 I love trees and go walking here often, taking a sketchbook so I can capture images and moods to inform my work. 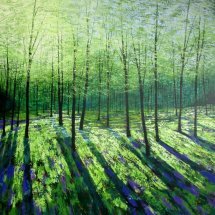 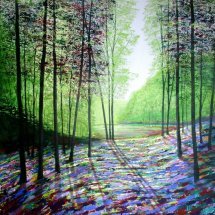 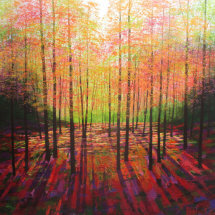 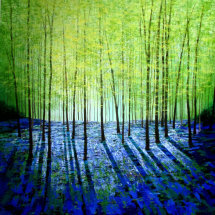 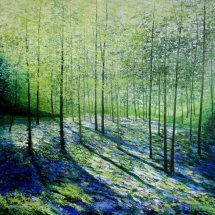 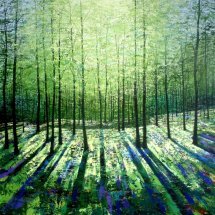 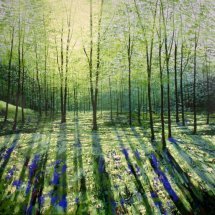 The Summer weather was wonderful for bright sunlight filtering through the trees creating dramatic shadows. 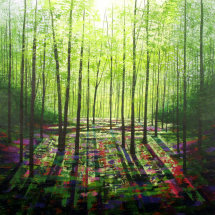 The light appears from one source central to the wood filtering through to the forest floor. 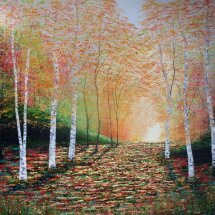 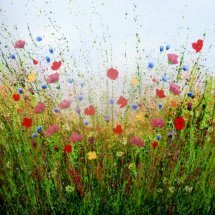 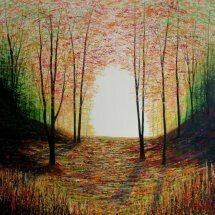 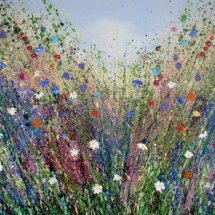 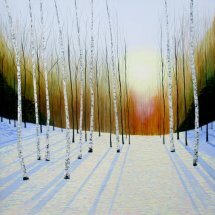 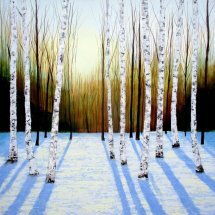 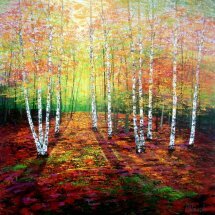 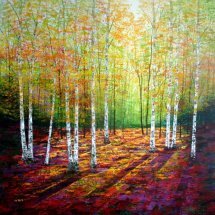 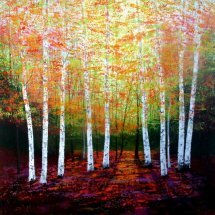 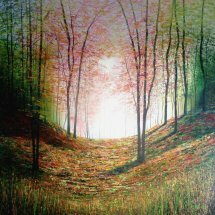 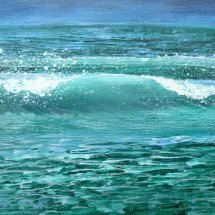 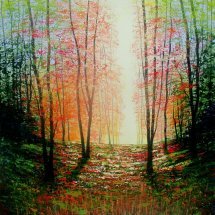 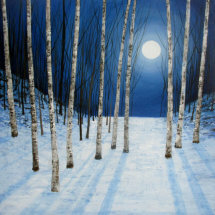 An original artwork, one of a kind, this painting has been created with high quality acrylic paints on deep edged canvas.